Do you experience foot discomfort while riding? Do you experience numbness or ‘hot spots’ while riding? 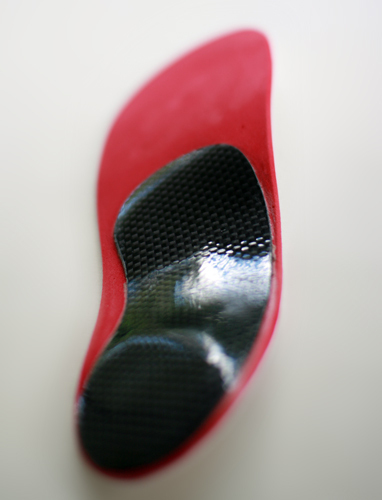 Do you wear orthotics in your running shoes and have been struggling to squeeze them into your cycling shoes? 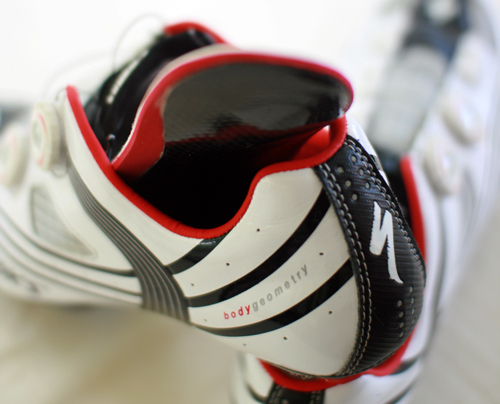 Do you want to maximize the power transfer through your shoes to the bike? Cobra9 is a specialized cycling product designed to fit the shape and internal structure of the cycling shoe. Standard orthotics are bulky, use unnecessary additions and fill the cycling shoe leaving your foot cramped, numb and painful. The cobra9 has a patent pending shape designed to reduce bulk, providing a personally contoured surface area designed for increased pedal power distribution. The greater the surface area, the greater the comfort and power of each stroke. The key to the success of this product lies in a few areas. Our patent pending prescription casting process uses a unique wedge to produce a foot profile that matches the contour of all cycling shoes. 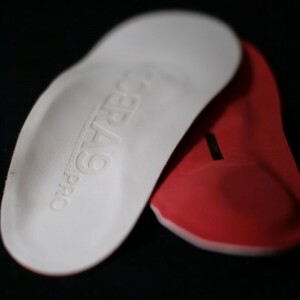 This is crucial as it removes pressure points and stops annoying orthotic movement inside the shoe. We use carbon fibre that is no more then 1.5mm thick. The structure of the carbon allows maximum strength, minimal flex and practically no space occupation. A Size 43 Cobra9 orthotic weighs in around 37 grams. Important in a rotational weight context. A standard full length orthotic weighs in over 90 grams. We use a 3mm dual density eva foam wrapped around a lightweight carbon shell. The dual density foam is comprised of a firm hard wearing upper layer and a softer, more pliant under-layer for improved vibration damping on those rough highway roads. The combination of materials is lightweight – weighing around 37 grams for a size 43 Cobra9. Most cycling shoes weigh in around 250 grams per shoe and a pedal around 120 grams. A 3mm dual density eva foam provides a thin topcover which minimises weight and allows for further foot contouring with regular wear. This material is hard wearing and easy to wash. The foot was not designed for cycling. It tends to distort and twist through the pedal stroke due to midfoot movement required for walking. In addition the foot needs a greater surface area to provide improved comfort and power transfer through the pedal stroke. All our Pro devices are custom made to your foot. The profiles of the shell are a mirror image of the foot. This means improved translation of power from the foot to the pedal. The Cobra9 aligns the forefoot with the pedal platform removing the need for ITS (in the shoe) wedging. The Cobra9 may be used in conjunction with cleat wedges or shims if required for further pedal stroke optimisation. All our devices are handmade in Australia. 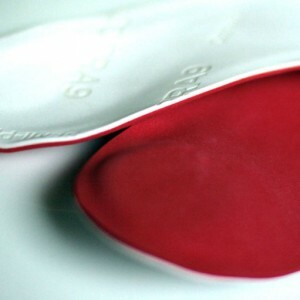 All shell modifications and plaster impression adjustments are performed by podiatrists with over 20 years combined experience in sports orthotics and their manufacture. We know feet, we know cycling.